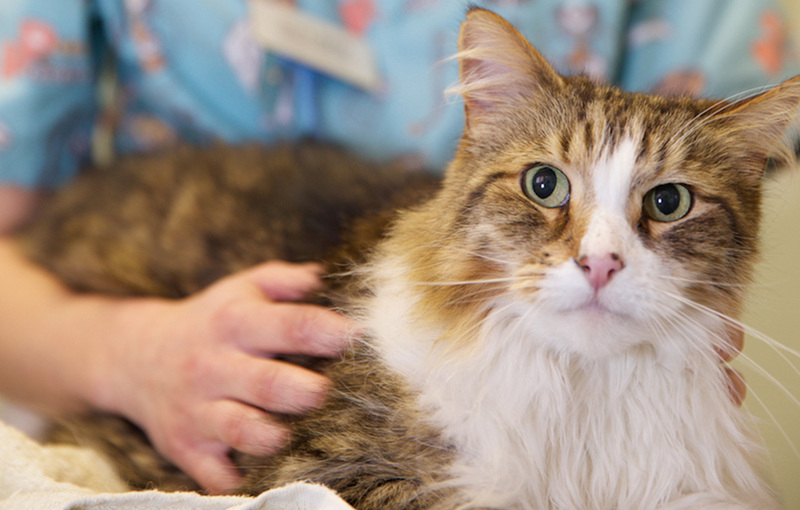 Have you ever wondered why your cat displays certain behaviours? There is a reason for every behaviour they display, whether it is communicating with their owners, other people around them, other cats or different animals. In this post there will be different methods of communication explained and the reasons for a cat demonstrating these behaviours to try and help you in understanding what they are trying to tell you! Rolling Rolling can have different interpretations. 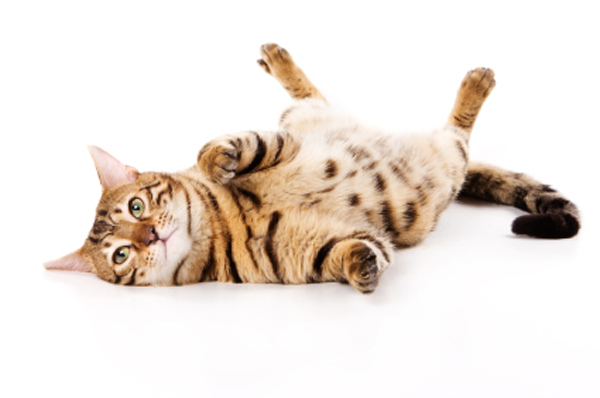 A cat that rolls on its side is a social behaviour and is an invitation for interaction. However; a fearful cat will sometimes roll on its back to show its abdomen and all four paws. This is to show all of their defence mechanisms to protect themselves. Tail between the legs Having their tail tucked between its back legs suggests nervousness and/or submission. Ears facing forward A cat with forward facing ears usually suggests that it is relaxed and alert, listening to its surroundings. Blinking Cats show contentment by relaxed eye contact and slow blinking or winking. Urine Spraying Cats urine spraying is a way of them communicating their territorial boundaries to other cats nearby (or in the same household). It is more common for males than females but can also be a communication method for sexually mature females. 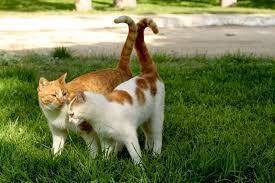 Scratching Cats have scent glands below their pads, therefore when they scratch objects they deposit their own scent. This indicates where the cats have been and marking their own territories to warn off other cats. 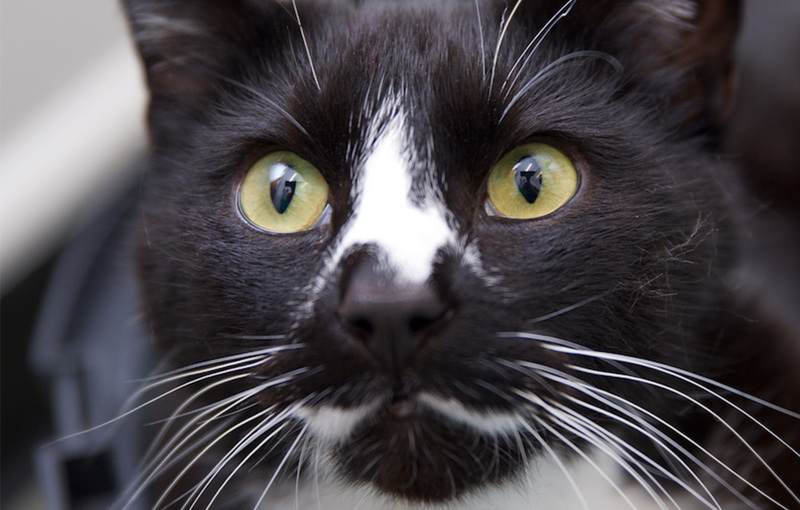 Cheek Marking The behaviour of cats rubbing their faces on objects or people is called ‘bunting’. This usually occurs in the centre of their territory and suggests a high level of content, reassurance and positive social interactions. Bunting is also used by females to communicate their sexual cycle. Middening Cats will generally cover up their faeces; however, when left uncovered it is a way of them communicating their territorial boundaries. 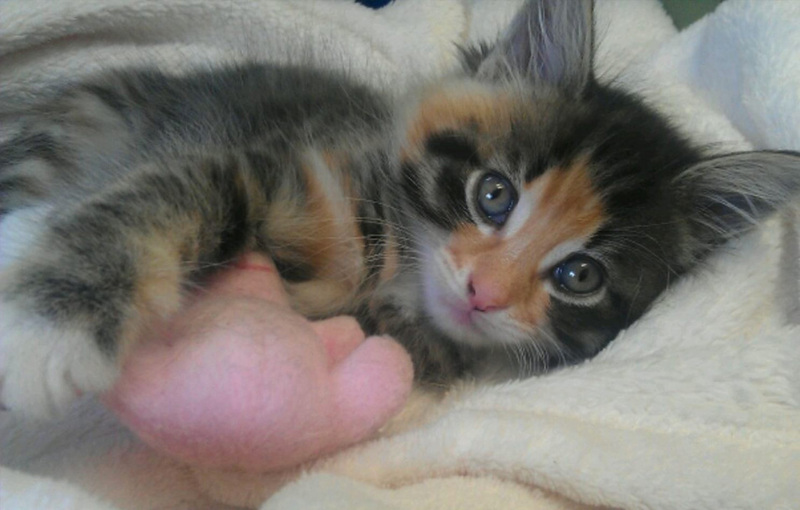 Purring Kittens will purr as a sign of contentment when being nursed; however, adult cats will purr as a greeting and to demonstrate to others that they are not a threat. Cats that are also in pain or have an illness will purr as it is thought to self-soothe them and make them feel more comfortable. Hissing Hissing is an aggressive method of aural communication that can be aimed at other cats or different species to warn them off. Growling Similarly to hissing, growling is an aggressive method of communication which can be aimed at other cats or any other animals before fighting or to warn others of danger. Chirrup Chirruping is a positive method of social communication, usually demonstrated between two cats as a friendly greeting. Kneading Kittens will knead their mothers during feeding to stimulate milk flow; as adults, cats will knead as a sign of content. Rubbing Rubbing is also a method of olfactory communication as it is transferring individual scents through the glands on their bodies. 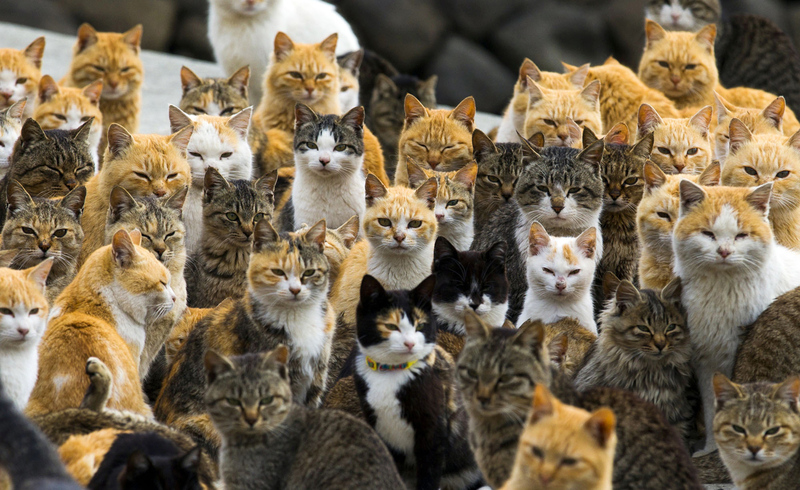 It is a positive social behaviour displayed between two cats to increase their social bond. Allogrooming Allogrooming is when two cats groom each other. This method of communication increases a social bond between two cats. Recent research has also suggested however, that allogrooming can also be used as a way of redirecting potential aggression in a situation where it would be too dangerous for open aggression. Intertwining tails Two cats will intertwine tails with each other to show a strong social bond.